MTA exists to provide a voice for our audience and to portray the interests and concerns of our community today. The integrated Cantemo Portal solution helps us explore new programming possibilities as well as ensure that the material in archive is secure and available to the wider community. From the very start MTA was founded to be a different kind of channel, one that would establish a uniquely independent voice and provide “a positive alternative in the broadcasting world.” As it approaches its third decade on air, the station continues to deliver on that early promise, producing a comprehensive roster of programmes, including news coverage, educational content, religious issues, current affairs, documentaries, outside broadcast of events and sports updates that is always free from both commercial sponsorship and subscription. It is a considerable undertaking for the largest organisations to broadcast 24 hours a day, 365 days a year, for the team at MTA the challenge is also to meet the needs of an audience that spans five continents. The accommodation of “viewers from Moscow to Melbourne and from Tokyo to Toronto” not only requires a highly developed global awareness, but often includes simultaneous translation in up to nine languages. Another crucial aspect of MTA’s approach is the principle that programming not distinguish between adults and children in the audience. When it comes to shaping content and defining the schedule, this type of inclusivity presents its own challenges. It has also kept MTA at the forefront of emerging technologies and led to the early embrace of mobile applications and You Tube, as well as a committed engagement with social media. Production at MTA extends from the headquarters in London to 12 satellite studios around the world. A lot of the staff are young volunteers from the community and MTA works hard to equip them with industry-relevant skills and experience. Many alumni from this initiative have gone on to pursue careers in the media, then bring that wider exposure back to inform and support advancements at MTA in turn. In practice that means that MTA are always researching new ways to work and implement the latest production techniques. Any fundamental change to established workflows must recognise all of these factors. In this regard Portal offered MTA a unique opportunity to introduce a highly sophisticated and scalable asset management solution with minimal disruption. The reality is that the plan MTA devised with integrators NMR meant the complete overhaul of the post production pipeline. Everything from ingest to shared storage and network infrastructure to delivery and archive has changed. 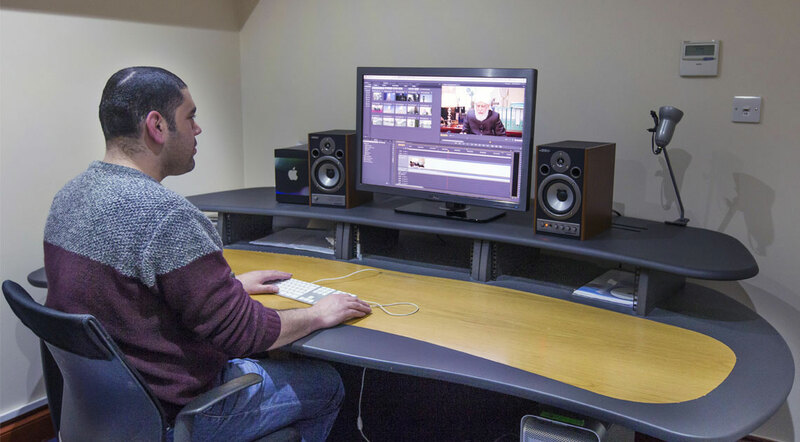 For the creative teams the only substantive difference was the switch of NLE to Adobe Premiere Pro. 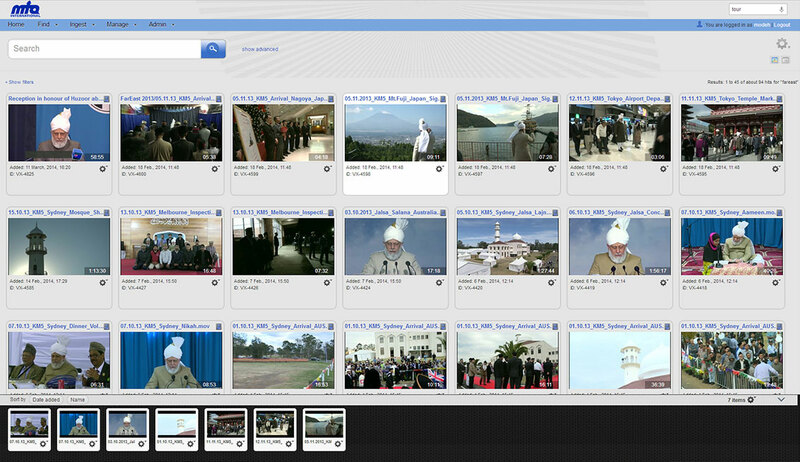 The browser-based interface of Portal provides unparalleled ease-of-use for anyone who has ever used a modern web site. NMR took advantage of the theming feature to provide a custom look and feel that reflects MTA’s defined style. Because Portal is built with HTML5 and makes use of the latest web technologies to support video playback without the need of third-party plugins, media can be accessed on any device within the organisation. Comprehensive support for defined user groups and roles means that access can be easily controlled. The market, like MTA, is moving to a tiered storage approach with more content being protected on scalable nearline digital preservation platforms like MatrixStore that offer high levels of resilience with little or no management effort. Organisations also require tight integrations between the platforms they rely on to further reduce the administrative burden. The API integration with Portal from Cantemo and MatrixStore allows MTA to build more value into their content by having a seamless platform from which to share content with its global audience. Portal is also distinguished by its integration with Premiere Pro. Cantemo® have taken advantage of the Adobe API to create a custom panel. This means editors can search for media directly in the NLE and retrieve items that have been stored in their personal MediaBin. Additional integration with Tools on Air JustIn for ingest and Object Matrix MatrixStore for long-term archive complete the pipeline picture. With Portal managing media assets in the background, the creative teams are freed to focus on the task of producing high-quality television. ToolsOnAir is pleased to be an integral part of the complete ingest solution at MTA helping to make their valuable tape archive accessible to production teams around the world. The seamless ToolsOnAir / Cantemo integration is a great choice for digitizing and cataloguing analog tape libraries. We are always excited to be part of projects that preserve and make culture heritage accessible to the world at large. At MTA the role of Portal extends beyond the current production roster to also encompass the needs of the large library of historic content. And when an organisation has been broadcasting as long as MTA all those hours of programming add up to a lot of tapes. Shelves upon shelves of them. In fact the oldest item in the archive, is a small reel of film dating from 1914, just 25 years after the founding of the Ahmadiyya movement. Until the introduction of Portal the task of managing all this media has been ably undertaken by a dedicated librarian, Shahid Ahmad. His tireless commitment to his work and encyclopaedic knowledge of the archive means a specific clip can be easily located, but when a physical tape has to be checked-out and digitised, timely access to footage becomes a challenge, especially with tight schedules and looming transmission dates. It is a bold decision to make the MTA archive completely tapeless, but it is in keeping with the drive to use the latest technological advances. With Portal in place all of the media is now available to browse by any of the editors. If they need a clip that’s in the archive Portal will automatically move the original file to production storage. The ability of MatrixStore to securely archive large pools of data objects across multiple sites means that instead of spending time maintaining the condition of the physical tapes, MTA can invest in additional research of the collection and further enhance its value. The combination of Cantemo Portal and MatrixStore has created tremendous new possibilities in terms of how MTA will preserve the archive and who has access to it. The process of ingesting all of the footage has been accelerated by JustIn, which enables real-time capture of multiple streams on a single workstation. Portal utilises MatrixStore integration to move data between production storage and archive, where the legacy of MTA can be securely protected for future generations. The long-term goal for MTA is to make the archive accessible to production teams around the world and after that the wider community. Our integrated technology solution, deployed at MTA, reflects not only an elegant end-to-end workflow, but also a highly scalable and cost effective solution from ingest, through to delivery. The beauty of Cantemo Portal is its scalability for the long term and also its customizability for deep integration (such as with Tools On Air’s JustIn ingest application), making it an ideal long-term investment for Digital Asset Management (DAM).